Cape Town - The SA Municipal Workers' Union (Samwu) is adamant that crisis-ridden VBS Mutual Bank did not finance a building the union already owned, saying that the only known loan related to photocopy machines. It rejected out of hand a report by Fin24 sister publication City Press about VBS Mutual Bank lending out large sums of money to its own directors, municipal officials and Samwu. "At least five of VBS’s senior executives received mortgage loans running into millions of rands between 2015 and last year," it reported. City Press also reported that a copy of the Samwu mortgage deal, filed at the Johannesburg deeds office and dated October 4 2007, was signed by the union's president Pule Molalenyane. Samwu denied that it ever mortgaged its headquarters, Samwu House in Marshalltown, downtown Johannesburg, with VBS last year. It instead claimed that it owned the building outright and had done so since 2007. In a statement on Sunday, Samwu reiterated that it does not have a mortgage loan with VBS Bank. "We confirm that the union's head offices are fully paid up since 2007," it said. "The only credit facility which SAMWU has entered into with VBS is for the provision of photocopy machines for the head office, provincial and regional offices. "This loan is currently being religiously serviced through a debit order on a monthly basis." 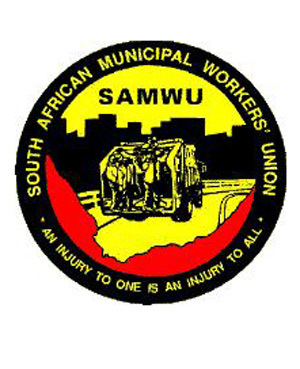 SAMWU explained that the union entered into an agreement with VBS Mutual Bank to finance the current contract, following the lapse of a deal with the prevous service provider. Is said the current agreement was concluded following proper due diligence from both parties. "The union partnered with VBS last year to launch a series of low-cost financial products targeting Samwu members, which is not unusual for unions which often team up with insurers and medical schemes," reported City Press. The SA Reserve Bank (Sarb) placed VBS under curatorship when it ran out of cash after relying on large, illegal, and short-term municipal deposits to fund long-term loans.